Flashback … 20 years. 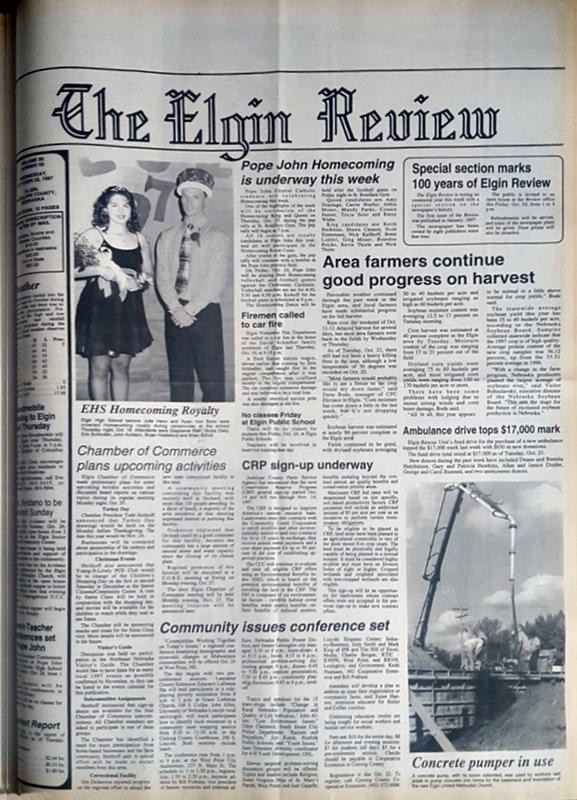 The Elgin Review’s front page from 1997. 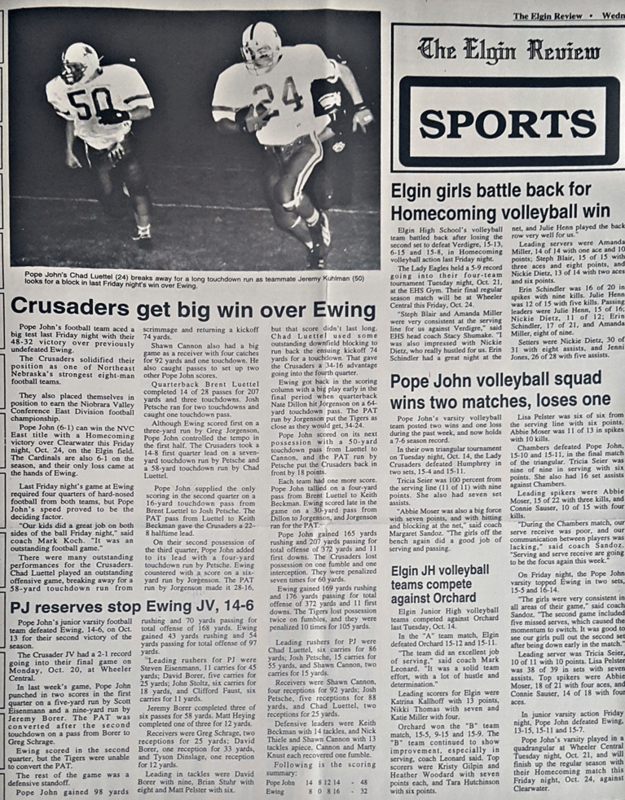 Plus the EHS Homecoming football story. 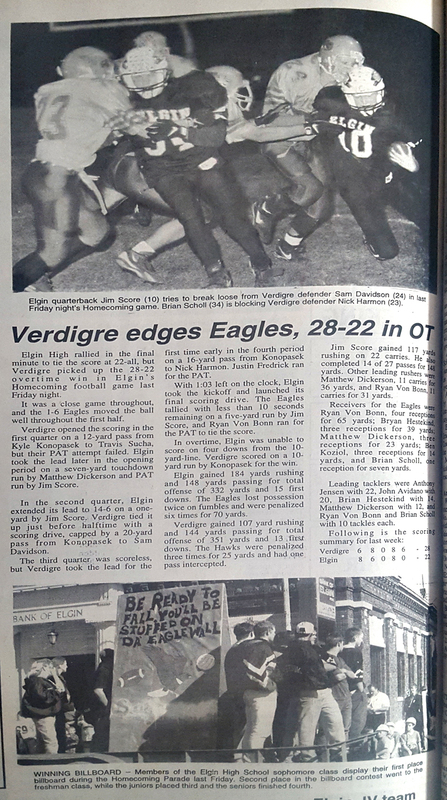 Plus the PJCC football story. Plus additional volleyball coverage.